Violations of community rights are still continuing as companies and regional governments try to maximise income from the country's mineral resources. At the same time, mining companies are complaining about the "legal vacuum" hampering their operations in Indonesia. Large-scale mining in Indonesia is in 'legal limbo', as the protesting companies see it, because their contracts, signed during the Suharto era, are being nibbled away by the demands of local governments newly empowered by regional autonomy. Indonesian NGOs objecting to a government decree allowing the planting of Monsanto's GM cotton are taking the agriculture minister to court in an attempt to have the decree annulled. The NGO Coalition for Biosafety and Food Safety has launched a court action to annul Decree No. 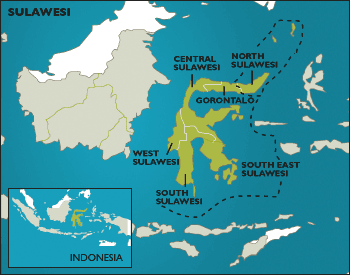 107/2001 which allows the limited release of genetically modified cotton in South Sulawesi province.